Yuyao City Yurui Electrical Appliance Co., Ltd is a professional company with a long history ,growing from Yuyao City Yufeng Electrical Appliance Factory. Yufeng Electrical Appliance Factory was founded in year 1999, by several engineers who dream big. With their hard working and great techniques, it has developed quickly. As time goes by, the manager enlarges the manufacturing site and employs a large number of stuff. 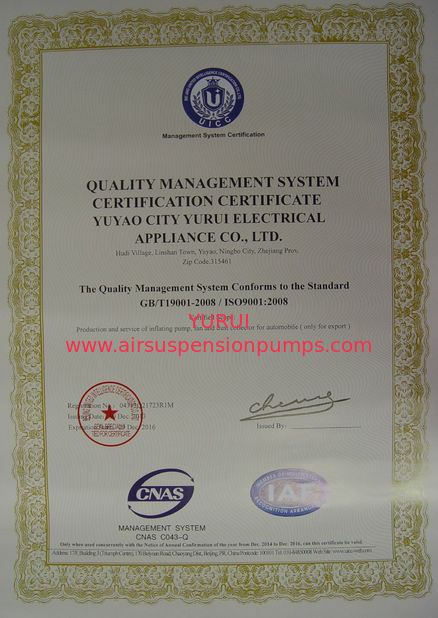 Yurui Electrical Appliance Co., Ltd devotes to producing commodities featuring high quality and providing best after-sale service. Innovation has always been our primary guideline to make company develop prosperously. More importantly, maintain trustworthy helps us to win the client’s trust and gain the long-run business relationship. In the future, our company will not only better consolidate the development with innovation, credibility, service and good quality but also looking forward to joining the bigger market and seeking for better corporation. 1. 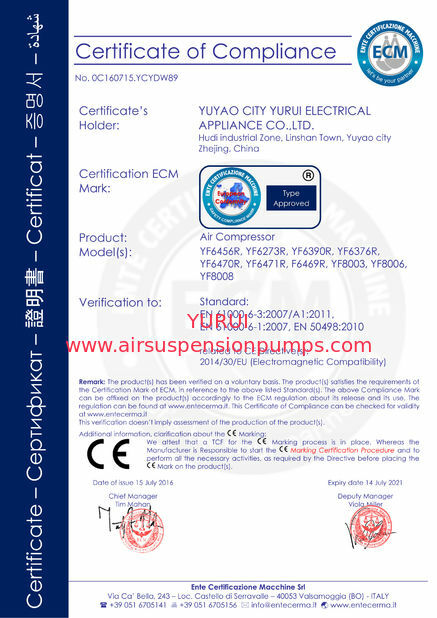 We will provide specific manual for every customer who is not familiar with the compressor. 2. 1 year warranty after the goods be sold. 3. We will protect the commercial secret of every customer,and for the exclusive distributor, ..only sell him in the area which has been discussed. 4. We will give our great support to those customers who are just stepping into this field. Service only starting point, the satisfaction has no end!